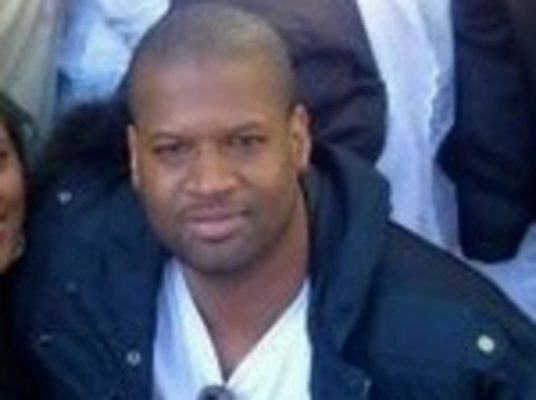 The family of Mohamed Bah, a Harlem man who was shot to death by police in 2012, will receive $1.9 million in a settlement of their civil lawsuit against the City of New York and the NYPD, a city Law Department spokesman confirmed. The jury ruled that Mateo used excessive force in Bah’s death and that Licitra failed to properly supervise the situation, lawyers said. Bah’s family was awarded $2.21 million in the federal civil lawsuit, lawyers said. In November 2017, A federal jury in Manhattan voted to hold NYPD Emergency Services Unit officer Edwin Mateo and lieutenant Michael Licitra liable for the 2012 death of Mohamed Bah, lawyers representing Bah’s family told Patch. The jury ruled that Mateo used excessive force in Bah’s death and that Licitra failed to properly supervise the situation, lawyers said. Bah’s family was awarded $2.21 million in the federal civil lawsuit, lawyers said. “While we believe the officer acted reasonably under these difficult circumstances, we hope this settlement will bring a measure of closure to the family.” Law Department spokesman Nick Paolucci said in a statement. Hawa Bah said Thursday that it’s “outrageous” that the NYPD did not fire the officers involved in her son’s death. Bah also proposed that the NYPD should not be the agency tasked with responding to situations involving emotionally distressed people. “In Mohamed’s name, I am fighting for the NYPD to be eliminated as first responders to people in emotional crisis, like my son was. I do not want any other mother or family to have to face the suffering I have had to endure. I want future generations to benefit from Mohamed’s legacy,” Bah said in a statement. The NYPD officers were never charged for the 2012 killing of Bah, who suffered from mental illness. The U.S. Attorney’s office announced that the officers would not face charges after an independent investigation into Bah’s death failed to produce sufficient evidence for federal charges. The U.S. Attorney’s office began its investigation in 2015. “She expresses a concern that her son, who is in this apartment, is going to hurt himself or somebody else,” NYPD spokesman Paul J. Browne told the Times in 2012. A standoff ensued when patrol officers arrived at the apartment and were greeted by Bah, who was standing naked and holding a knife, the Times reported. The NYPD Emergency Service Unit were called to the scene and tried to convince Bah, who had put clothes on, to drop the knife. Bah was shot in the arm, chest, abdomen and head, the Times reported in 2012. This entry was posted in Harlem, NYPD and tagged Edwin Mateo, Harlem‬, Michael Licitra, Mohamed Bah, Nick Paolucci, NYPD, Paul J. Browne by Harlem World Magazine. Bookmark the permalink.